If you need to swab larger areas or rough surfaces, then Enviromax is the answer. 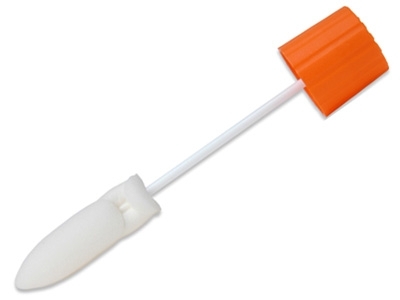 The swab is securely attached to the cap and makes a convenient handle for great control when sampling, and the foam tip has a rigid paddle structure inside that is ideal for reaching intro crevices. The neutralising buffer maximises microbial recovery, once finished simply replace the swab and cap tightly for transport to the lab. Perfect for Listeria or Salmonella environmental testing as your enrichment broth can be added directly to the swab tube.